Hello all Third level Students in Ireland! 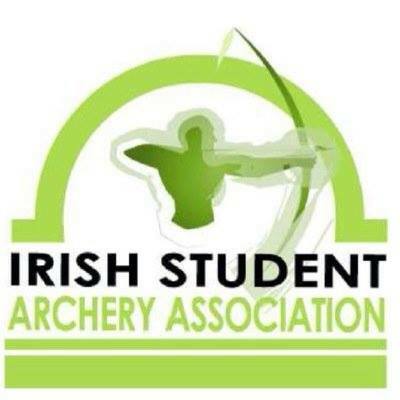 Welcome to the official Irish Student Archery Association (ISAA) website. The ISAA is a group of voluntary college students from around the entire island of Ireland with the primary objective to encourage, promote, and develop archery among third-level institutions and work alongside Archery Ireland in conforming with World Archery rules. The special aspect of the ISAA and all its affiliated archery clubs is that no experience in any way is required to come and partake in the sport. All around the island of Ireland during the academic term there are students learning and mastering the techniques of archery in a short spell of time and presented with the opportunity to represent their college at a competitive level. Most third level Institutions around Ireland are able to provide all beginners with the necessary equipment to get started in the sport of archery without the initial financial strain. The constant support by third-level institution sports departments and clubs executive committees has allowed student archery in Ireland to grow and expand in all aspects over the last two decades. While 10 years ago, over a hundred students may have competed at a single Intervarsity, in 2017 we are reached the max capacity of sports halls with over 200 hundred archers. As the ISAA enters the 2018/2019 season, the Association is entering a new era with the national junior squad members entering third level institutions and raising the standard of student archery. Student archery in Ireland is growing in leaps and bounds every year and in the near future we hope to see more and more students representing Ireland at the Student University Games and on the World Archery Stage. The ISAA is managed by a newly elected committee of voluntary third level students every year at the ISAA AGM. The ISAA committee’s role is to promote the objectives of the Association to the best of their ability, ensure the constant growth of student archery, ensure the successful running of all ISAA events and competitions, and to ensure all ISAA members abide by the ISAA Constitution and Rulebook. The ISAA calendar consists of five Indoor Intervarsity League Competitions and a National Student Indoor Championship, over the course of the academic year. Individual and team awards can be achieved from the Indoor Intervarsity League through the highest accumulation of four of the best five 60 arrow scores on a 40cm or tri-spot target face at 18 meters. At the National student indoor Championships, Irish students are exposed to an indoor world archery event set-up where ranking rounds occur on the Saturday, and individual and team head-to-heads occur on the Sunday to determine the overall winners. The ISAA hope to provide a unique archery experience during your college years and we would like to wish all Irish student archers the best of luck as they compete in the ISAA League and hope to see you all involved in the ISAA committee in the coming years. All third level institution archery clubs across the island of Ireland are entitled to become affiliated with the Irish Student Archery Association and we always encourage enthusiastic students to try and work with their sports departments to establish, develop and grow new archery clubs every year. Click here to meet this years committee.